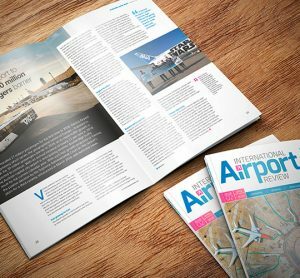 Although it looks like a single entity from the outside, airports are mini cities hosting a collection of independent organisations including airlines, ground handlers, retailers, restaurants, police, immigration agencies and hotels. Getting the right information to the right person at the right time is crucial for the airport ecosystem to operate efficiently. 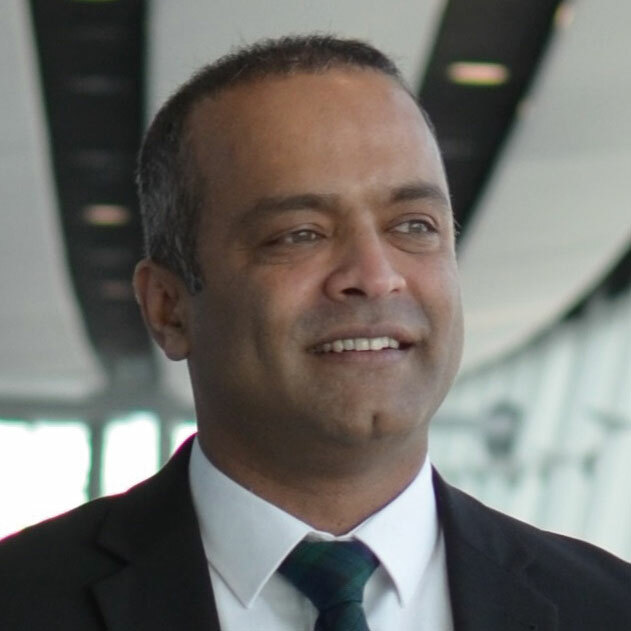 Head of IT Commercial and Innovation at Gatwick Airport, Abhi Chacko, reveals how the airport turned to app technology to ensure this could be achieved. Unfortunately, the inherent fragmentation of such an ecosystem makes it difficult for information to flow quickly. Gatwick Airport alone has over 250 independent businesses operating on its campus, which we collectively refer to as ‘the Gatwick family’. Efficiency is vital to keep costs low while improving service standards for increasing passenger volumes. The traditional way of pushing information between organisations through host-to-host links and then sharing that information with their respective employees is complex, expensive and time consuming. We came up with the idea of the Community app as an antidote to the inherently fragmented nature of the airport. We launched it in early 2016 and today we have more than 12,000 people using it on a daily basis. It keeps the entire work force in tune with the airport; helping them to make the right operational decisions and to assist passengers. The ability to set up alerts for specific events. Nobody wants to wear an ID card and look lost when a passenger asks them a question. The availability of real-time flight information with check-in zones, terminal information, gate numbers, etc. ensures that anyone walking around the campus wearing an ID card can respond accurately to passenger queries. Many staff members download the app in preparation to assist such passengers. 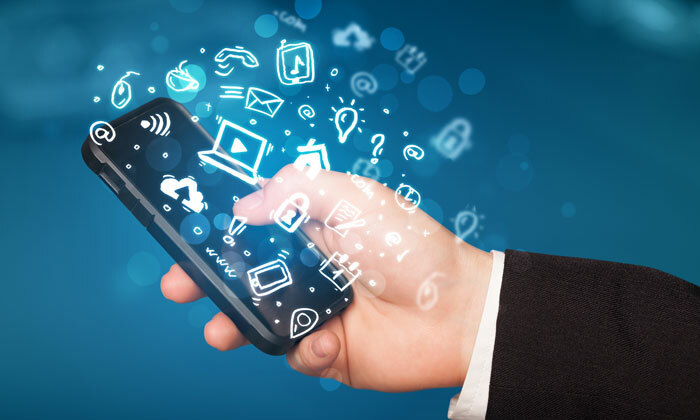 The app has also enabled a range of businesses to improve their operational efficiency. 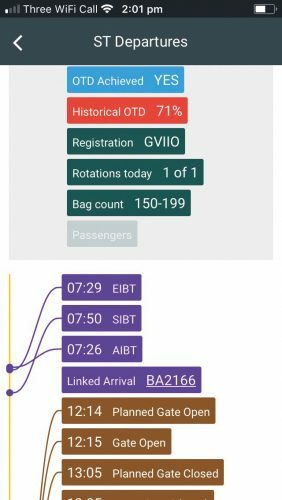 Take the on-time departure (OTD) dashboard, for example: OTD screens on the Community app show how each airline is performing for the day against their target. This gets updated after every flight departure. 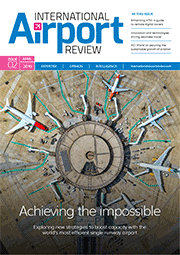 It has broken down silos that previously existed within the airport when it comes to performance-related information. 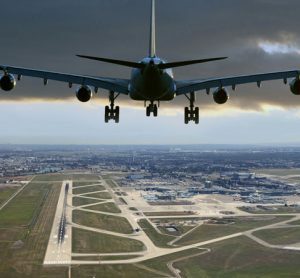 An airline or ground handler can benchmark how they are performing against their peers on a particular day, factoring in external influences such as air traffic control strikes or weather conditions. This information is available to everyone on the campus – whether they are a bag loader working for the ground handling company or a senior executive of the airport. The league tables have helped us to instil a sense of healthy competition among airlines and ground handlers with the aim of improving performance. 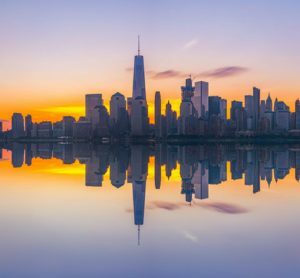 It has also removed an abundance of excel-based reporting, which featured heavily within each organisation, as the information is now readily available on their smart phone. More generally, the app is helping members of the Gatwick family to improve their daily operation, resource planning and decision making. Over time, it has become a vital tool in disruption management, as well as in summer and winter readiness preparation. The app has also helped us to reduce costs and pay for itself. The Command Centre at Gatwick historically used SMS to keep all airport staff informed operationally. Since implementation of the app, Gatwick has achieved a 70 per cent cost reduction (or cost avoidance) on operational SMS messaging, as many people are now using the app to obtain information and receive alerts. Information about which passengers have crossed the security gates is now available to the airline boarding agents. This will help them decide if they can close the flight early. With so many businesses operating onsite, the main challenge for the app was to establish a way to reach out to these organisations and develop a product that they would find truly useful. Gatwick runs a B2B IT Customer Forum every quarter, which is open to all entities operating on campus, where we talk about IT operational issues, ongoing projects and innovation. We use this forum as a platform to validate innovative ideas as well as share new features on the Community app. We have also promoted the app through emails, intranet, stand-up posters at staff entrances and corporate magazines. Making the app rich with relevant information and assigning a champion for its promotion are essential ingredients to making it a success in any airport. Ultimately, though, it’s popularity can be largely attributed to those individuals who downloaded it and then promoted it to their contacts. What is the future of this type of tech for the airport? From the outset, we knew that the problem we were trying to solve exists in every other airport, although many airports do not recognise it. We therefore partnered with AirportLabs to develop the app and make it available for the entire industry. 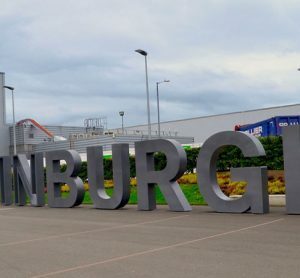 This proved to be a very successful strategy with 11 other airports (including Dubai, Edinburgh and Milan) deploying it for their respective airport campuses. This multiple airport adoption of the app has enabled us to keep the cost of support – as well as the new features – low. We are delighted see that other airports and airlines are benefiting from the Community app and are proud to have contributed to the aviation industry in this way. We are also happy that we chose the right partner who understands the aviation domain to develop the app. Head of IT Commercial and Innovation at Gatwick Airport, Abhi Chacko is accountable for providing IT services to airlines, ground handlers and airport tenants as well as for driving tech-led innovation for the campus. With more than 20 years of experience in aviation IT, Abhi has had a positive impact on the aviation industry. Abhi has led several industry-first initiatives at Gatwick, such as the awardwinning Airport Community App, machine learning for predicting flight departure times, airport chatbots and a beacon-based indoor navigation system. To find out more about the app contact: [email protected] gatwickairport.com.